Congrats to @marillionflower She won this prize package!!!! Next drawing on Sunday! Click to enter! Winner to be chosen Friday, November 20, 2009, at 6pm CT. Total value of Prize Package Seven is $125. 1) The Yoga Zoo Adventure by Helen Purperhart, a $14.95 value. (Ages 3-7) Donated by Tweet for Literacy sponsor April Pohren. 3) Ranger's Apprentice Book 1: The Ruins of Gorlan by John Flanagan ($7.99; ages 9-12) Donated by Tweet for Literacy sponsor April Pohren. 4) The Crypto-Capers: The Case of Red Rock Canyon by Renee Hand ($12.95 value). Readers help the detectives solve the case by figuring out puzzles! For ages 9-12. Donated by the author. 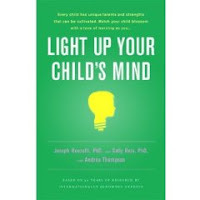 6) Light Up Your Child’s Mind: Finding a Unique Pathway to Happiness and Success by Joseph S. Renzulli, Sally M. Reis, Andrea Thompson ($25.99 value). Donated by Hachette Book Group. 7) Daughter of Kura by Debra Austin (a pre-publication advanced readers copy-ARC!) A $24.00 value for Mom or Dad. Donated by Tweet for Literacy sponsor April Pohren.